INR Vs USD: On Tuesday, the rupee settled at 69.90 against the greenback, after weakening to a fresh all-time low of 71.10. INR Vs USD: Experts believe that the rupee is unlikely to recover soon. The rupee hit a fresh record low of 70.32 against the US dollar in early trade on Thursday. Experts believe that the rupee is unlikely to recover soon. Asia's currencies also remained under pressure, with the dollar holding near 13-month peaks as political turmoil in Turkey and concerns about China's economic health continued to support safe-haven assets. However, the government said on Wednesday that the foreign exchange reserves are comfortable by global standards and can combat any undue volatility in the rupee. 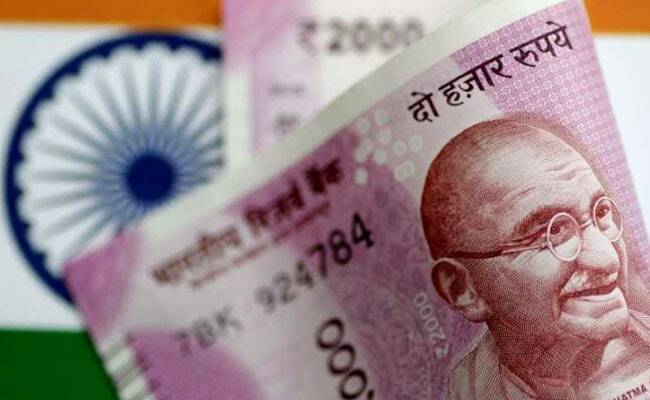 The rupee opened at a record low of 70.25 a dollar and weakened further to trade at a fresh low of 70.32, down by 43 paise, reported news agency Press Trust of India (PTI). At 9:13 am, the rupee was trading at 70.25/26 per dollar, versus its Tuesday's close of 69.90/91. Markets were closed on Wednesday for a national holiday, reported news agency Reuters. Experts attributed the fall in rupee to the trade deficit hitting a 5-year high. "The trade deficit is the major trigger for today's fall in the rupee. Even though the Turkish lira has recovered, the dollar index continues to move higher. The rupee will recover when global market stabilizes. I think, the rupee will remain under pressure in the next few sessions," said Rushabh Maru, Research Analyst, Anand Rathi Share and Stock Brokers. The trade deficit for July widened to a more than five year high of $18.02 billion, driven largely by a surge in oil imports. Even if the rupee appreciates, the appreciation would not sustain for long due to global uncertainty, Mr Maru added. PTI reported forex dealers as saying that besides strong demand for the American currency from importers, capital outflows mainly weighed on the domestic currency. Furthermore, depreciation of the Turkish lira against the dollar after the US imposed tariffs on steel and aluminium imports also put pressure on the Indian rupee, they added. On Wednesday, Union Minister Arun Jaitley said, "Recent developments relating to Turkey have generated global risk aversion towards emerging market currencies and the strengthening of the dollar. However, India's macro fundamentals remain resilient and strong. The developments are being monitored closely to address any situation that may arise in the context of the unsettled international environment." On Tuesday, the rupee settled at 69.90 against the greenback, after weakening to a fresh all-time low of 71.10. Meanwhile, oil prices recouped some of the previous day's losses after Beijing said it would send a delegation to Washington to try to resolve trade disputes between the United States and China that have roiled global markets. International Brent crude oil futures were at $70.93 per barrel at 0335 GMT or 9:05 am IST, up 17 cents, or 0.26 percent, from their last close, reported Reuters.